Liverpool forward Sadio Mane is becoming one of the world's best, according to team-mate Georginio Wijnaldum. 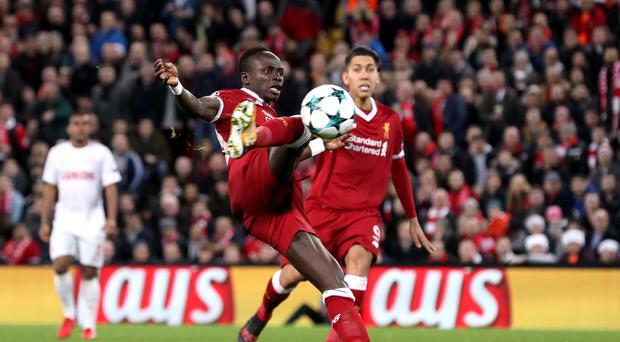 Liverpool midfielder Georginio Wijnaldum believes team-mate Sadio Mane is starting to show he is one of the best in the world. The Senegal international has endured a stop-start season so far with a three-match suspension followed by a hamstring problems which saw him sidelined for a month. However, four goals in his last four matches, including a spectacular volley in the 7-0 Champions League drubbing of Spartak Moscow, suggests the 25-year-old is back on track. In addition to his goals he is also creating numerous chances for the other members of the 'Fab Four' - Mohamed Salah, Roberto Firmino and Philippe Coutinho - and generally giving opposition defenders a tough time. "If you show consistency and perform week in, week out then you are one of the best," said Wijnaldum ahead of Sunday's 229th Merseyside derby. "Of course you will have bad games but the best players in the world have bad games. "If you are to analyse the season so far you would say they are delivering. It is normal people would say he is one of the best." The form of Liverpool's front four has seen them score 48 goals between them in all competitions with Salah the leading Premier League marksman with 12. They are arguably one of the most devastating quartets in world football at the moment but Wijnaldum insists it is tough to compare them to anything else he has witnessed. "It is difficult to say. At the World Cup I was playing behind (Robin) Van Persie and (Arjen) Robben and (Wesley) Schneider was also there - they are all good players," said the Holland international. "But that was once in a short time, only at the World Cup. Now I play a whole season with these players so it makes it easier for me to get used to them and them to get used to other players. "I don't know if it is fair to compare the players with each other. "Of course a big club will sign good players and when good players come to the team you have to make sure you keep playing at a high level." Wijnaldum has scored just once in 22 appearances this campaign, virtually mirroring his return from the same period last year when he came good in the second half of the season with five goals, and despite insisting he wants to score more he accepts the form of team's leading scorers is taking some of the pressure off. "For me it is always important if you can score goals, everyone wants to score goals," added the Holland international. "You get less opportunities than I had at Newcastle because there I was a number 10 so every game I had a few chances to score. Now I am one position back as a midfielder. "We have four attackers who can all score a goal; other players - the midfielders and defence - will keep the team together and so you don't often find yourself in a position where you can score."